Ted was the star of the hit 2012 Hollywood movie, featuring Mark Wahlberg. Ted has since become one of the most loveable animated characters in popular culture, so it was no surprise to us to see a brand-new Ted video slot developed for your entertainment. As you would expect, the new official Ted slot is visually set in a cartoon-esque environment, within his living room. When this five-reel slot loads, you’ll discover Ted fast asleep on the sofa. As it is an official slot, licensed to include visuals on the Ted movie, those familiar with the film will discover heaps of familiar symbols on the reels. It’s also a responsive slot, which can be played on all devices including smartphone and tablet via our popular mobile bingo app. With so many bonus features available, it can be hard to know where to begin when playing the Ted slot. That’s why we’ve put together this handy Ted slot review so that you know what you’re doing from spin number one. If you like action when it comes to playing online slots, you’ll adore the Ted video slot. There are five – yes, five – bonus features available to unlock within the base game. On top of that, there are a host of ‘Ted modifiers’ that are triggered any time Ted wakes up from his drunken slumber during a base game spin. The wheel dishes out a pre-set number of free spins on the reels. After every free spin, a bonus will be given from the grid above. The bonuses improve with every free spin, so be patient! If you land on a Big Money sign, you’ll be entered immediately into the Big Money Bonus which will dish out a minimum of one big win multiplier of your initial wager. In this bonus game, you’ll be required to choose bottles as you move around the board, picking up win multipliers along the way. Landing on specific squares earns you additional prizes. The game ends when you get arrested. Choose a Ted to display an arrow, win multiplier or spin and play the Wheel of Fartune to try and claim the Big Money Bonus – or get as many prizes as you can anyway. Receive an instant five free spins on the reels in the heart of a supermarket. The wilds on the supermarket shelves will move based on their corresponding positions on the reels. Brace yourself for Ted spraying the reels with beer, turning current winning combinations into new winning combos. Ted will carry on spraying the reels until he runs out of booze! Ted will wake up and start smoking, before blowing his smoke onto the five reels and adding a heap of Ted symbols. These will eventually become one matching symbol for a big win. Ted will get his laser out from under the sofa and start firing at reels, transforming them into highly valuable wilds. Ted will get animated with his remote control and start button-mashing after a winning combination. You’ll earn free spins with winning symbols locked in place until there are no more winning combos. Ted will start smoking once again, but this time he’ll blow smoke on the reels to combine three matching symbols into one high-value symbol for a big guaranteed prize! More smoke will be blown onto the reels by Ted, putting additional bonus symbols on the reels and giving you a better chance to trigger the main bonus feature. How to play the Ted video slot? The higher-value base game symbols are the game’s logo (which can be stacked at random), John’s partner, Lori, bottles of beer and even a bong. The wild symbol is Ted himself and he can substitute all other symbols on the reels to create new winning combinations, apart from the Thunder Buddies Bonus scatter. At the end of any of the in-game bonus features, you are given the choice of taking your winnings earnt in the bonus, or gambling to try and win one of the game’s other more lucrative features. Your decision entirely depends on how risk averse you are and how much you want to win that 500x maximum jackpot, which will reward you as much as any of our bingo jackpots. How to increase your chances to win at Ted? 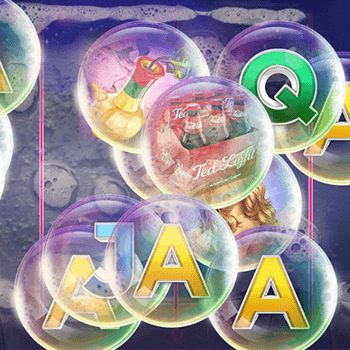 The six additional bonus boosts and win streaks are triggered entirely at random, so it’s difficult to know how to increase your chances to win on the Ted slot. However, if you want to maximise your jackpots when you do land a big winning combo or bonus prize, it’s always recommended to wager as much as you can afford per spin. 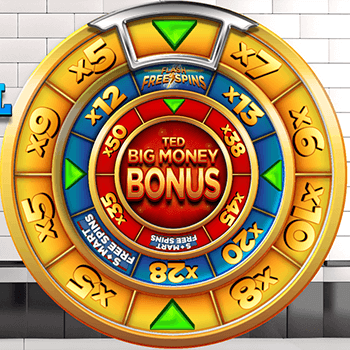 As a medium-variance slot, Ted generates lots of small wins in the base game features, but it’s the Big Money Bonus feature where the top prizes are at! Based around another famous Hollywood blockbuster, King Kong, King Kong Cash can generate big jackpots if you manage to keep up with Kong’s antics! Video slots based on successful movies don’t come much better than Planet of the Apes. Designed in association with 20th Century Fox, the visuals and soundtrack stay true to the hit franchise. You’re a fan of action in video slots. With five main in-game bonus features and six randomly-triggered additional bonuses and winning streaks, you’re quite literally spoilt for choice. 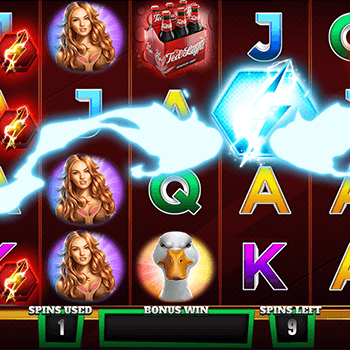 The Ted video slot contains arguably the most bonus games ever seen on a video slot – and that’s great news for you! It’s little wonder why Ted is rivalling the likes of Rainbow Riches and the long-standing Starburst slot as one of our most popular slot titles.